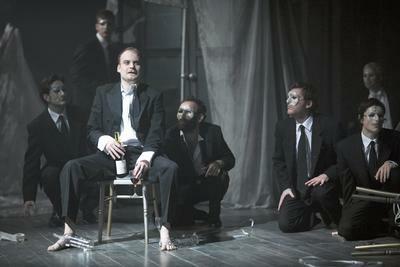 Jack Tarlton (on chair) as Orsino and ensemble. A Watermill Propeller Production. Photographed by Philip Tull.